Arts writer Tom Keogh has met many people interested in listening to and learning about classical music, but who have little idea how to start. So here are a few suggestions, from Keogh and some prominent figures in the music community. It was a warm Sunday afternoon in 1975 when I parked my green clunker on a side street off Mercer, across from Seattle Center. Somehow I’d learned that the Seattle Symphony Orchestra, conducted by then-music director Milton Katims, would be performing Beethoven’s Symphony No. 7 at a matinee in SSO’s pre-Benaroya Hall home, the old Seattle Opera House (now the site of McCaw Hall). This was my first visit to a classical-music concert. I’d recently discovered the haunting second movement from the Seventh on the soundtrack to a 1974 science-fiction movie, “Zardoz,” starring Sean Connery. While there might be better reasons to attend a classical-music concert, “Zardoz” worked for me. I loved the performance. But being more inclined at the time to Bruce Springsteen and Patti Smith, I was done with classical music for another 32 years. Then in 2007, a Seattle Times editor nudged me past my resistance to writing previews of classical-music events. (I said I didn’t know anything about the subject. The editor said I’d learn.) My subsequent decade-plus of writing such stories became a journey into the often compelling lives of composers and the passions of conductors, virtuoso instrumentalists and singers who embrace and interpret written scores. I’m no musicologist, so I focused instead on what I love: people’s stories. Stories such as Schumann’s mental illness and tragic end. Shostakovich falling in and out of favor with Stalin. Vivaldi’s many works composed with all-women musicians and choirs in mind. Equipped with a little knowledge about the who, what and why behind a piece, a listener can unlock some of music’s mystery, hear the dialogue between instruments, and grasp the overall ambition and grandeur of the greatest compositions. That’s one way into classical music, but not the only one. I’ve met many folks interested in listening to and learning about classical music, but who have little idea how to start without being instantly overwhelmed or uncertain of what they need to know before they can enjoy it. Me: The truth is, while it helps to know a little, it’s more important to trust your own feelings and reactions: What thrilled you? What made you grab your partner’s hand? What drove you nuts? It’s worth noting that bits of classical-music scores often make their way into popular culture. As with my “Zardoz” experience, it’s fun to hear the full context of a music bite that you associate with a thriller movie or a commercial. Seattle Symphony offers a rich opportunity March 15, 17 and 18 to hear Carl Orff’s extravagant “Carmina Burana,” 30 seconds of which you know far better than you might think. Samuel Jones, composer: Each person’s path is different. I used to recommend starting with easily accessible Romantic-era [1780-1910] pieces and composers [e.g. Mahler, Strauss, Dvorak, Saint-Saëns] and work forward [Debussy, Ravel] and backward [Chopin, Brahms] from there; or starting with one or two surefire winners. But now I say, just go to a live performance and tell me afterward what you thought. Both are important: live music and one’s reactions. Dave Beck, cellist and afternoon host, Classical KING FM: I’ve been impressed by some of the [online] Khan Academy music-education videos that [former SSO music director] Gerard Schwarz has been doing with his All Star Orchestra. Going to preconcert lectures is also a good first step. I have done the Cascade Symphony preconcert lectures for nine seasons. We have remarkably good attendance. Even players in the orchestra who have been performing for 50 years say they learn new things at those lectures. August Denhard, lute player and executive director, Early Music Seattle: A lot of people who enjoy early music [e.g. Bach, Vivaldi, Handel] take the time to absorb the history and stories circling around a composer. The simple answer seems to be, tell the stories. I hear that people stay away from Shostakovich’s music. Wouldn’t that be different if people knew about the constant danger he was in, or about writing music while bombs are falling? Larry Starr, author and chair, American music studies, University of Washington: If the person I’m talking to believes the summit of popular music is Frank Sinatra’s “Only the Lonely,” I would not recommend starting with Stravinsky. If, however, they like punk or experimental rock music, or avant-garde jazz, I would say start with Stravinsky. It’s important to find the entry point to musical interest already developed in another area. If they enjoy jazz across-the-board, I would suggest starting with a very wide range of classical- music pieces and avoid the misconception that it always sounds the same. Dacia Clay, assistant program director, KING FM, and creator-host of the “Classical Classroom” podcast: There’s a sense that you can’t just enjoy classical music the way you can with other forms of music. You feel you have to have special knowledge and can’t just say, hey, I like that. I’ve learned that musicians and other experts are extremely generous if you tell them you don’t understand something. Find somebody who knows about the music and just talk to them. They will answer all your questions. 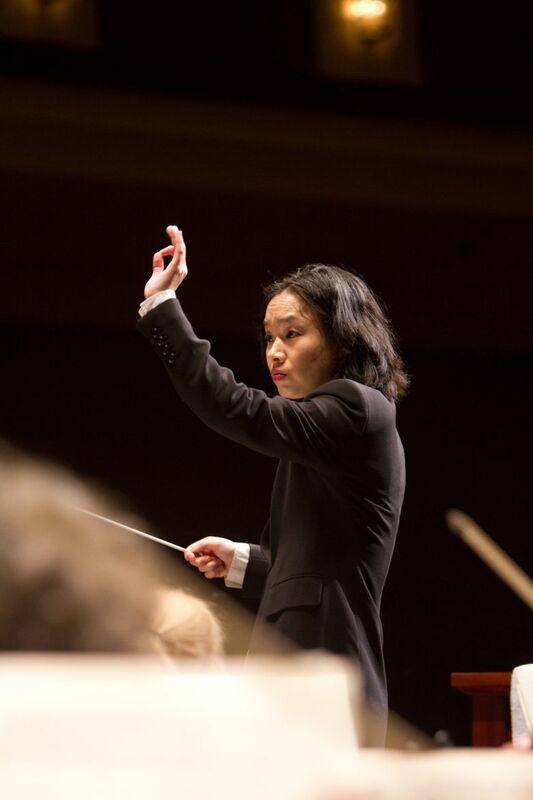 Carolyn Kuan, music director, Hartford Symphony Orchestra; former associate conductor, Seattle Symphony: Picking the right concert is important. This is a question we think about throughout the year at Hartford. 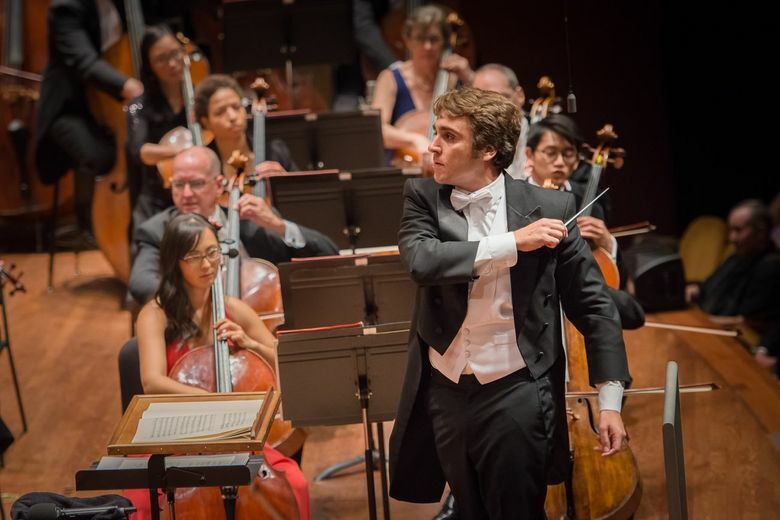 We have a concert series about bringing down the boundaries between orchestra and audience. We want people to walk around and listen to a concert from any perspective on the orchestra. A lot of people in a hall feel stuck in their seats. Perhaps the best advice I can give is try a few concerts. Call the box office, tell them you’re brand-new and ask what they recommend. Ruth Reinhardt, assistant conductor, Dallas Symphony Orchestra; former conducting fellow, Seattle Symphony: As with any music, you just need a heart and some ears. I think we all do understand music on some fundamental level. When I was at Juilliard, I was giving a preconcert talk to seventh-graders. I asked them what they thought about one of Elgar’s “Enigma Variations.” What they said was spot on.